EVGA has written to HEXUS to announce that it has released a new range of 80 PLUS Bronze certified PC power supplies. Four models are available in the new EVGA BR Series, and depending on your modest to mid-range needs you might choose the EVGA 450 BR, 500 BR, 600 BR, or 700 BR. Pricing ranges from $49.99 to $74.99 and these appear to be EVGA's new entry level PSUs as stock of older Bronze rated power products are being sold off. Appealing details of the new PSUs include the use of a long life 120mm sleeve bearing quiet fan, increased 3.3V/5V voltage stability thanks to EVGA's DC to DC converter, and a design backed by EVGA's warranty and support over a decent period - 3 years. 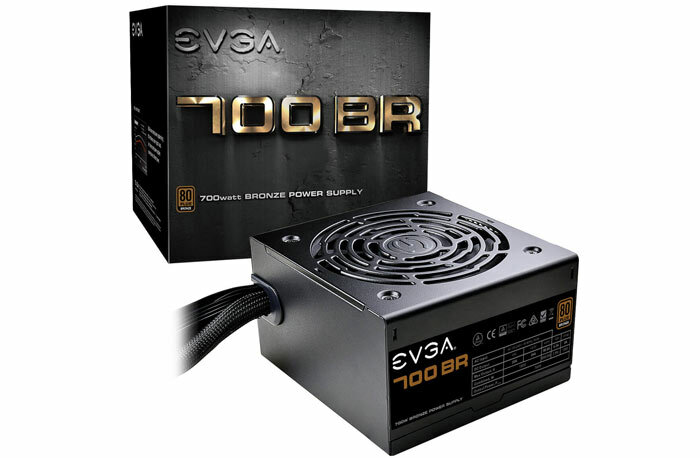 EVGA's 80 PLUS Bronze certified BR Series power supplies deliver 85 per cent efficiency or higher under typical loads. As a budget range, you would be correct to expect a non-modular design. However, EVGA says you can instead enjoy the view of its all black full sleeved cables "for that high end aesthetic." All the PSUs use a standard ATX form factor so will likely fit in your existing setup, for a swap out, or in a new mATX, EATX, HPTX, and XLATX chassis. All the expected common hardware power protections are present, such as; OVP, UVP, OCP, OPP, SCP and OTP. See the power charts above and below for the respective capabilities of the BR Series' . 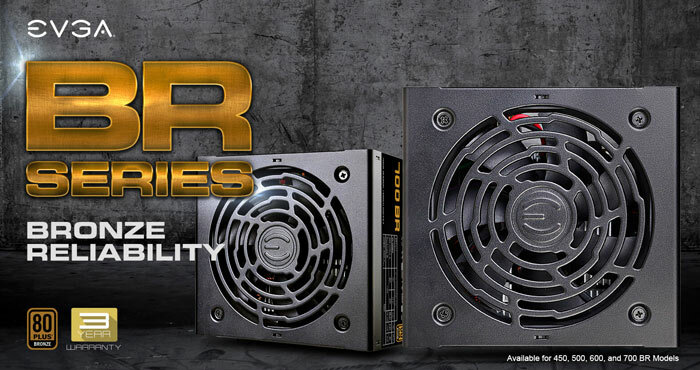 As mentioned in the intro these new BR Series PSUs start at just $49.99 and rise to $74.99. I see that they are also listed as available in Europe, and to divine the Euro price simply change the $ to an €. 42 QOTW: What wattage is your power supply?